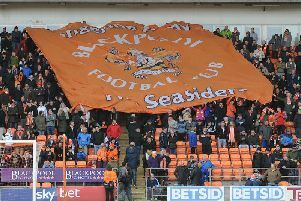 For the past two seasons, amid ongoing off-the-pitch chaos, Blackpool FC has given the impression to outsiders that is a normal football club. Well, as normal as you can be when the vast majority of your supporters don’t attend home games. But the man who was responsible for maintaining that facade has now gone and, just one game and five days into the new season, the club has once again plummeted into further turmoil and disgrace. Of course there is only one man we can blame for all this and that’s Owen Oyston (although the football authorities need to have a long, hard look at themselves, too). How Gary Bowyer managed to work for such a despised individual, roundly acknowledged to be the worst football owner in Britain, and deliver such spectacular results in the process is simply befounding. Can you blame Bowyer for taking this decision? Absolutely not. I’m only surprised it didn’t happen sooner. But that’s just how Bowyer works. He did it during his first job at Blackburn Rovers but that was nothing compared to what he had to endure at Bloomfield Road. During his two years on the Fylde coast, Bowyer somehow managed to drown out all the nonsense that continues to mire the club into the ground to this day to concentrate on 11 players kicking the ball around a pitch. Given the dignity and class he forever carried himself with, half of the time you wouldn’t even notice the club was involved in an unprecedented High Court case which left the owner with a debt of more than £30m. Bowyer’s achievements at Blackpool should never be underestimated. Upon arriving in June 2016, his first mission was to stabilise a club that had just endured back-to-back relegations in the midst of fan protests both in and outside of the stadium. But, somehow, he managed to go one better, taking the Seasiders to Wembley to continue the club’s proud play-off history with that win against Exeter City - thus masterminding a return to the third tier at the first attempt. You wouldn’t think that could be bettered but somehow Bowyer managed it. Despite the sales of Brad Potts and Bright Osayi-Samuel, despite the High Court judgement in November 2017, despite the football club being put up for sale, despite all the talk of investors and loans, despite the departures of Karl and Sam Oyston, as well as Alex Cowdy, Bowyer managed a top-half finish in League One. This, let’s remember, was with a team who had been expected to get relegated at the start of the season. 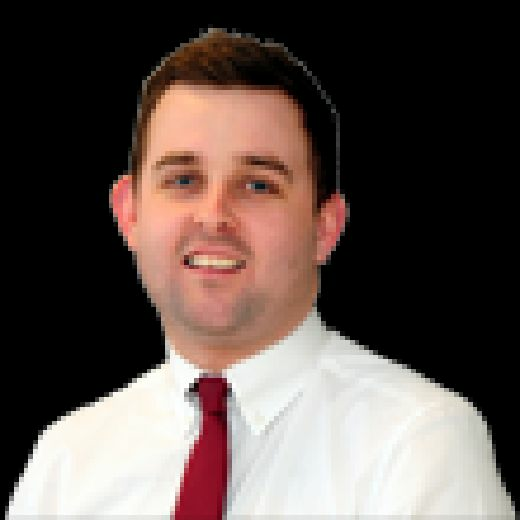 The Seasiders finished the season with the spine of a team that could, with the right investment and additions, challenge for the top six in League One. Instead, through no fault of his own, Bowyer was left to overhaul his squad once again as he watched on as players departed: left, right and centre. Kyle Vassell, the club’s top scorer for the last two seasons, joined Clark Robertson in joining Rotherham United. Both, incidentally, are players who have a lot to thank Bowyer for. Colin Daniel and Kelvin Mellor also decided to opt for pastures new. Meanwhile the loanees that proved so important last season, the likes of Joe Lumley, Sean Longstaff and Viv Solomon-Otabor, returned to their parent clubs with no return ever looking likely. Essentially, an exciting, young squad with a blend of the right experience was shredded in a matter of weeks. As usual, Bowyer didn’t complain. In fact, he seemed to relish the challenge of putting together another squad capable of competing in League One. But this time it was a challenge that was beyond even him. READ MORE: Key stats: How did Gary Bowyer do as Blackpool boss compared to previous managers? Of course the situation wasn’t helped by certain other factors at the club, namely the farce that is Squires Gate training ground. The pitches there are, quite frankly, a disgrace and are considered unusable for the foreseeable future. No wonder when there’s no running water. The squad have instead been training in Preston, the home of Blackpool’s biggest rivals. That’s bad enough as it is, but it’s much worse when you consider Bowyer was initially paying for the training pitches out of his own pocket. He was eventually reimbursed by the club, something fellow club staff haven’t been so lucky with. Bowyer has cut a severely frustrated figure in recent weeks, and who can blame him? I’m not surprised that he has left, I just thought he might have waited until Thursday’s transfer deadline. Clearly, he had reached the end of his tether. Did the recent speculation regarding Curtis Tilt have any part to play? It’s difficult to say, only Bowyer can answer that one. To me, it appeared as though he was begrudgingly prepared to lose Tilt - given the fee was right - as it seemed like the only way he would be able to strengthen his squad. Pool are badly lacking at least two attacking reinforcements. Without them they’re likely to struggle. Ironically it appears Oyston - the man who still owes £25m to Valeri Belokon - is intent on keeping Tilt at the club. You would have thought he would have cashed in at the first attempt. Like many, I was looking forward to seeing Bowyer given proper backing: be that financially under new owners and support from the packed stadium. Unfortunately, like so many before him, he didn’t get it. Despite that, he still managed to perform miracles on a weekly, nay, daily basis. So here’s to you Gary Bowyer. Thanks for all you have done for Blackpool Football Club, and best wishes for whatever you decide to do in future. No doubt you will prove a success once again. And thanks for always proving so affable and accommodating with the media. You deserve a normal football club for your next job, and I’ve no doubt you’ll have plenty of offers. Where this mess of a club goes from here is anyone’s guess.